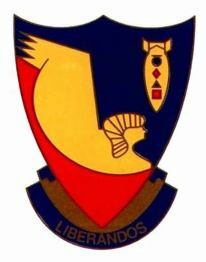 Lt. Herman Cranman was a bombardier who flew with the 512th Sqd. The book covers the part that he played in WWII beginning on Pearl Harbor Day in 1941 through VJ Day in 1945. 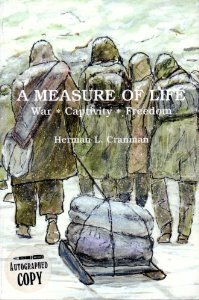 Titled "A Measure of Life: War-Captivity-Freedom" it is a compelling 280 page story that blends Cranman's personal experiences with the general background historical events of WWII for a greater overall picture of induction, training. air warfare, combat missions, being shot down, life in a POW camp, the long trek from Stalag III to Stalag 7B near Munich, and finally, liberation and discharge from the Service. Herman tells us that what started out as writing his memoirs as part of a family history-the WWII part of his story created a great deal of interest that went far beyond his family-hence he was persuaded to publish a book about the WWII years. Profit was not be a factor either because any income derived from the book would and will go to charity. "I hope that my experience may encourage others, who 1 know, have as much to say as I have, not to leave their family, or this world, without telling their story. If it can be any inducement to anyone thinking about writing, I will be happy to share my experience on how a 'non-writer' can write a book." This book is available from various on-line book sellers.